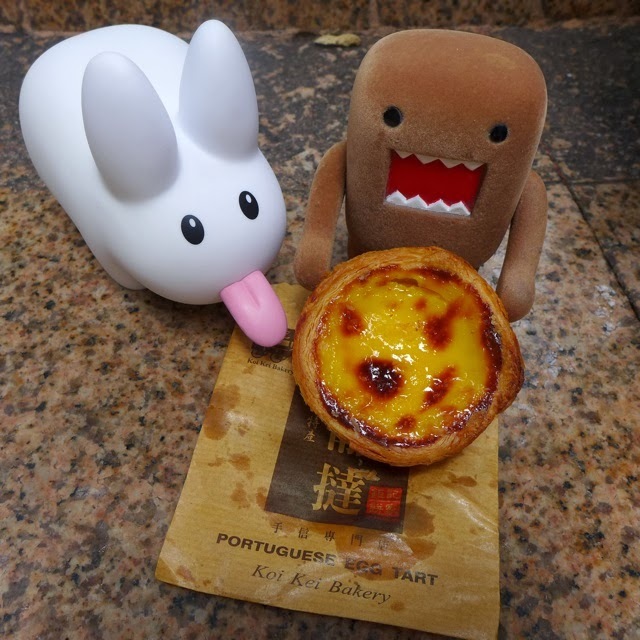 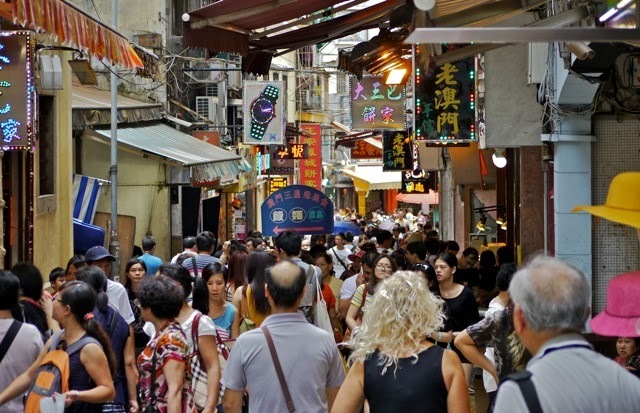 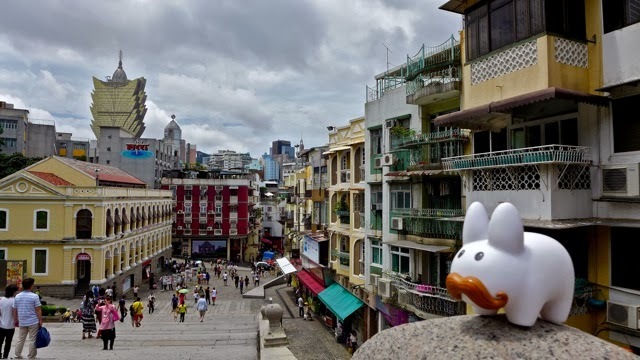 Having hopped around some of the sights in Macau (Fortaleza do Monte, the ruins of St. Paul's Cathedral, a Buddhist temple, and the Grand Lisboa casino), Pipkin and Domo found themselves rather peckish so they followed the crowd at chow-time. 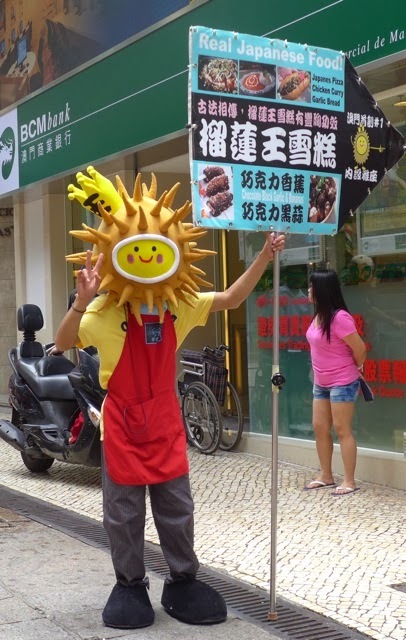 If the crowd doesn't point you to food, this guy will! 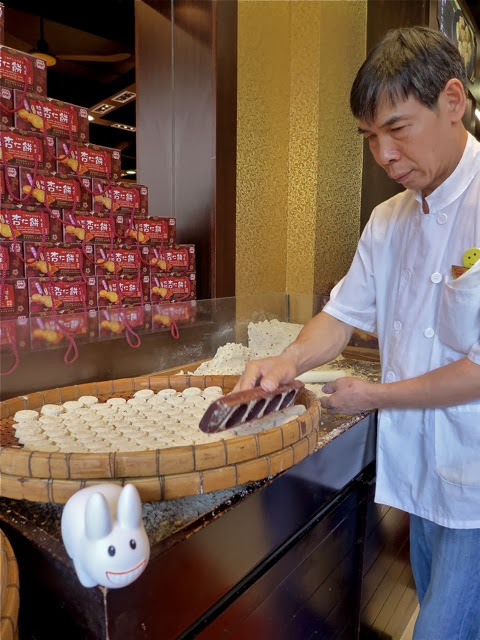 And if you're a cookie and biscuit lover, then of course you must hit the bakeries in Macau for a tin of cookies. 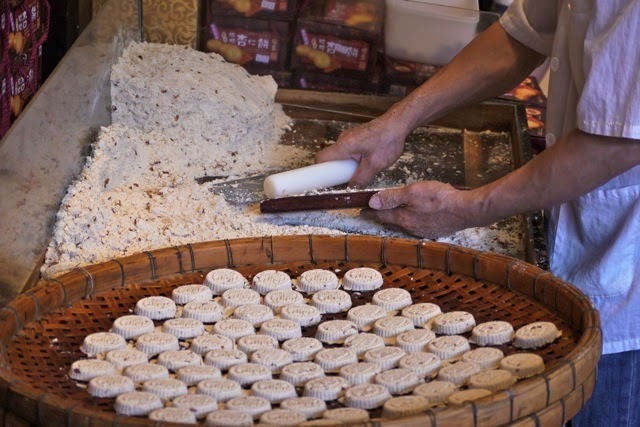 Pipkin's favourite are these almond cookies, which you can see bakers molding in the shop. 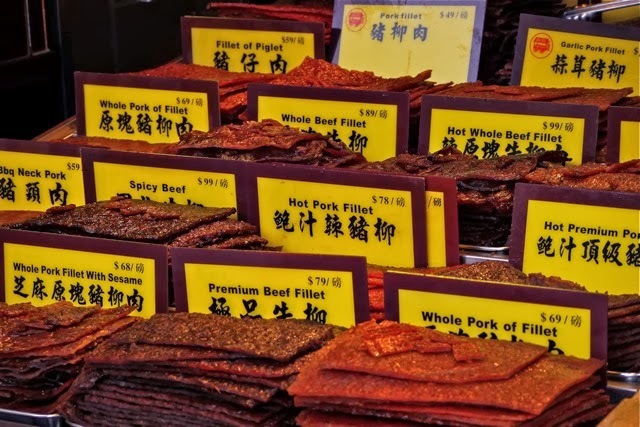 These are wonderful when warm. 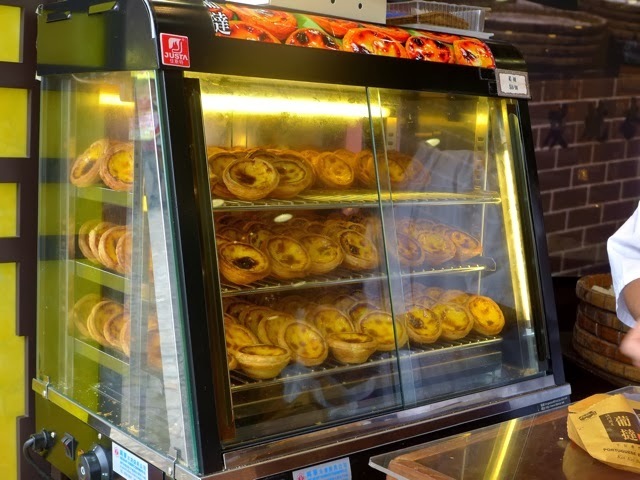 Sooo, so tasty, and so, so flaky!